Which should you use: a debit card or a credit card? You all know the difference between the two – a debit card uses your own money and a credit card means borrowing with interest. You make everyday purchases in person. These are items that are part of daily living: groceries, doctor co-pays, restaurant meals, etc. 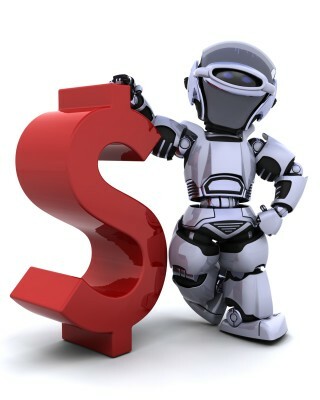 You are purchasing big ticket items, anything with a warranty, travel reservations, online purchases, etc. Using a credit card will (usually) give you extra consumer protection for little or no additional cost. When you travel, certain credit cards give trip insurance for items such as lost luggage protection. If you are purchasing electronics, some credit cards extend the warranty period. If you purchase something online and it never arrives (or arrives broken), you can dispute the charge with your credit card company after you have attempted to resolve this with the merchant. You should check with your credit card issuer to see what benefits you have with your credit card. Then make your purchases where you will get the most benefits. Last week, I spoke to a class of Accounting I students at a local high school, and an interesting topic came up when we were talking about saving for the future. I asked if they knew what interest rate their bank account was paying. There were a variety of answers, but one took me by surprise. He said he kept his savings at home. How many of you do this? For teens and adults, the benefits of saving in a bank account is twofold – both time and compound interest. He was missing out on the second. Yes, he has easy access to the money when he needs it (that may, or may not, be a good thing). But, he was missing out on interest payments. Interest is what makes your money grow. Compound interest is defined as “interest added to interest previously earned on a principal balance”, according to Barron’s Dictionary of Banking Terms. So, if you were to save $10 a month for a year without interest you would have $120, but with an interest rate of 2% you would have $131. Add the power of time and after five years it would be $600 versus $642 and finally after ten years $1,200 versus $1,341. You should be saving as much as you can by using a bank account that pays you the highest interest rate without paying fees. 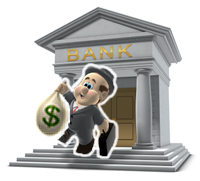 You may have to shop around and look at many banks, credit unions, online banks etc. to find the account that is best for you. Unclaimed Money: Are you missing any money? Would you know if you were? Banks and financial institutions do find themselves in the strange position of having to deal with what appear to be abandoned checking or savings accounts. Unlike the child in our trivia question, banks don’t have to ask themselves any moral or ethical questions, they just have to follow the law. If the account is unclaimed for three years, they are required to turn the money over to the State. Sometimes “unclaimed money” isn’t lost at all! For example, let’s say you opened a savings account to store the $1,000 your grandmother gave you when you graduated high school. You assumed you could just let the money sit there earning interest until you were ready to use it. You would be wrong. Interest going into a bank account is NOT considered activity. After 3 years, your money would be transferred to the state. To avoid having your money declared “unclaimed”, make a small deposit or withdrawal from your bank account annually. Savings accounts aren’t the only accounts that can be categorized as unclaimed. Make sure that you cash checks you receive in a timely manner – even paychecks can be considered unclaimed money. Safe deposit boxes also fall under unclaimed money – make sure you access that safe deposit box at least annually. To find out if you have any missing money, go to www.unclaimed.org and check each state that you have lived in to see if you have unclaimed money. Answer to my trivia question: According to a NY Times article, 64% of children who found money either tried to return it to its rightful owner or turned it in to authorities. And, 82% of children who hadn’t found money said they would to the same. That makes you feel good, doesn’t it? Has this economy made you look more closely at fees and unessential services? Earlier this year, the Credit Card Act was enacted to help consumers That was good for you, but your creditors lost sources of income They want to take that money back The next wave of consumer fees is about to begin (or may have even started). Do you have totally free checking? That’s probably going to change You will need to keep more money on deposit to qualify for free checking. Do you prefer to make your deposits and payments in person? There could be a fee to use a bank teller. Do you receive paper statements and cancelled checks by mail? The bank may start charging you for that. Do you have overdraft protection? Previously, you only paid a fee when you used the service That’s changing My bank now charges $1.50 per month for the privilege of overdraft protection Some banks are even charging you to link your savings and checking together for overdraft protection, along with the additional fee for actually using the service. Want to open an overdraft protection account for the first time? That could cost you a fee as well. Banks are implementing these changes to increase their revenue, so watch your statement closely (you should be doing this anyway) Read the inserts in your statements Call to question new fees, and if you’ve already been charged, ask for reimbursement. 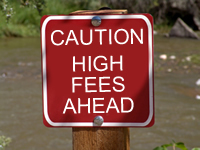 If your bank account is costing you too much money, find out what you can do to avoid the new fees If all else fails, take your bank accounts elsewhere There are still banks with good lending and investment practices These banks don’t need to overcharge their customers to make money. Automatic Bill Payment: Should You Use It? Whether you pay your bills online or with a check, you’ve probably seen the automatic bill payment option It’s a great service for the companies you pay, but is it a great service for you? Each company lists all the advantages of the service: your bills will be paid on time, you’ll never miss a payment, and you’ll never have late fees Yes, those are great advantages But they don’t mention the down sides. You won’t be able to check your statement before the payment is made. This is a definite downside You might even get in the habit of not checking your statement at all There might be charges you need to dispute: maybe a purchase wasn’t yours, maybe a new service charge was added to your account, maybe there was an increase in fees. 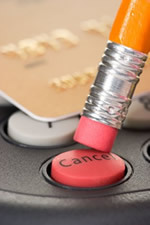 On credit cards, you only have a limited amount of days to dispute a transaction Once that time is up, you can’t be reimbursed Or, if the cost of a utility increases (after a promotional period), you may want to make other arrangements as soon as possible. If you choose the automatic payment service, take the time to look over your statements as soon as they arrive. A Payment Could Overdraw Your Account. Many of our accounts have fluctuating balances Utility charges change with the seasons and credit card spending increases on holidays and vacations Do you keep enough money in your account to cover all your payments, regardless of the amount? Here’s an example: August was an unrelentingly hot and humid month in some states Many people left on the air conditioning all month only to be shocked by the size of their electric bill They didn’t realize that the rate per kilowatt would increase as their usage increased, which made the bill go even higher than expected Some people thought they’d end up paying $100 more for August, but ended up paying $200-$400 more How many people keep enough in their checking account to handle a $500 electric bill? Not many. If you choose the automatic bill payment option, keep extra padding in your checking account and check your bank balances frequently. Automatic bill payment works great for some people Choose the option that works best for you As always, take steps to protect your personal finances. Just like the changes to the credit card rules back in February, July 1 started one big change to your checking account If you overdraw your checking account with a debit card transaction, your charge will be declined That’s the change If you are someone who keeps detailed records and knows what you have in your checking account this won’t affect you If you cut it close and it happens to you, you are in for a change Your transaction will be declined and you may be embarrassed at the register. In the past, the banks were more than happy to let you overdraw your account They would receive the overdraft charge of $30 plus dollars This was a big revenue source for banks With this change, banks are offering you another option of overdraft protection This is associated with your checking account If you spend more than you have, you will be using the bank’s money as a loan to cover the additional amount needed You will have to repay the loan amount plus additional interest charges as incurred. Know how much you have available in your checking account before you make a purchase and you will be fine. Checking account fees These fees can be avoided all together so check with your bank Typically banks will waive their fees if you have a savings account with the bank and they can link the two accounts together Some will ask you to have a deposit direct deposited to your checking account to avoid the fees Ask your banker and then do what they say to avoid this fee. Uncollected Funds When you deposit a check, the check has to become available (the funds go from one bank account to yours), before you can use that money Uncollected funds occur when you attempt to use this money before it is available This will cause an uncollected funds fee to your account You need to check with the bank or to check online to see what your available funds balance is before using your money. Non-Sufficient Funds This is when you write a check, withdraw money from the ATM or make a purchase with your debit card for more money than you have in your account If this happens the bank will charge you a fee for this transaction (you could incur this fee for each transaction that goes through your account) You need to know how much is in your bank account to avoid this fee. All these fees are money makers for the bank and it’s to your best interest to avoid them and keep your money for you Keep good accurate records and you can eliminatethem. Question: Is my free checking really free? If so, how does the bank make money? Great question Yes, there are free checking accounts as long as you meet the banks requirements These are typically a minimum balance in the account, direct deposit to the account or a certain number of debit card transactions It’s your responsibility to know what you can and can’t do according to your banks requirements so that you avoid these fees. Banks make their money on the fees they charge their customers The checking account can be free, but the other optional costs are not These optional costs can include overdraft fees for either writing a check and/or using your debit card for more money than you have in your account, uncollected fees for using the money in your account before the deposited funds are available to use, stopping payment on a check that you have written, purchasing bank checks (money orders, certified checks) or using an ATM from a different bank All these fees add up. There still could be more fees If your transaction is not honored, then the person or company you did the transaction with incurs fees that they may charge you too That ATM that you used from the different bank may change you a fee as well The most cost effective way to save your money, is to keep accurate records (checkbook records with a ledger or software) so that you know how much money is in your account at all times and to never run short on cash so that you have to use the most convenient ATM and incur a fee A little planning on your part can save you money. Going out of the country? If so, there are hidden fees to address before you go. Foreign transaction charges can turn an affordable trip into an overpriced nightmare. If you plan to use credit, you should know that most credit card companies tack an additional percentage on purchases made across the border or overseas. MasterCard and Visa start at 1%, Discover at 2% and American Express at just under 3%. These hidden fees can ruin your travel budget. There are credit cards that don’t charge a foreign exchange fee. Check with your credit card company. It might even be worth it to apply for a new card. If you plan to use cash, watch the exchange rates. Airports usually have the worst rates. You’ll probably get the best rate if you can buy foreign currency at home – that way, you’ll already have foreign currency with you when you arrive. Do your research. Using an ATM in a foreign country could cheaper than an exchange – even free – if…. your bank is international or has foreign partners. Check with your bank before you go. Remember to ask how many ATM machines they have and where they’re located. For an inexpensive and hassle free trip – plan ahead. Can You Spend Ripped, Burned or Damaged Cash? What is damaged or mutilated currency? What can you do with it? Damaged and/or mutilated currency is paper money that has been damaged in a major way. I’m not talking about money that’s faded and a little soft from being washed along with your jeans. This is paper money that has been ripped, burned, or even partially digested. Let’s say you have a piece of a $100 dollar bill. You can’t spend it at the store, so what can you do with it? If you have more than 50% of the $100 bill, you can exchange it for a replacement. Why? Because that means you probably have at least one full serial number and a portion of the second. Don’t bring it to your local bank branch – they won’t accept it. You have to either mail it, or bring it, to the Bureau of Engraving and Printing in Washington, DC. If you mail it, take precautions. Ask about insurance at your post office or other delivery service. If you go in person, bring ID. If you have less than half of the $100 bill, you may still be able to exchange it. The treasury will consider your claim if you have other documentation to support your loss.